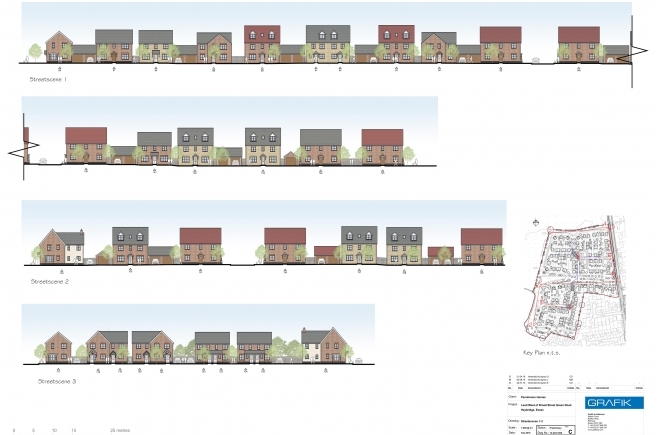 Grafik Architects have achieved a reserved matters planning consent for a scheme of 145 homes on land west of Broad Street Green Road, Heybridge, Essex. This reserved matters application designed in a traditional Essex vernacular incorporates a central green ‘Wedge’ from Broad Street Green Road which not only formalises routes though the site to the wider area for pedestrians, away from vehicles but allows important corridors for wildlife. Active frontages throughout not only ensures the site is outward facing, allowing safe and green routes around the site for pedestrians, this also allows wildlife corridors to be seen and appreciated. The development has been designed ensuring links to Heybridge Wood are established whilst maintaining a suitable development buffer. This site which forms part of the North Heybridge garden suburb includes a sustainable drainage strategy which will help alleviate flooding in the local area. 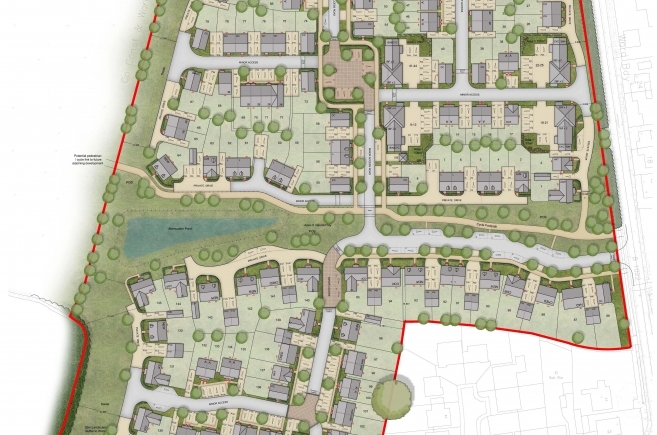 The site has also been designed to meet the lifetime homes criteria, ensuring residents will be able to enjoy their homes and surroundings throughout their lives. 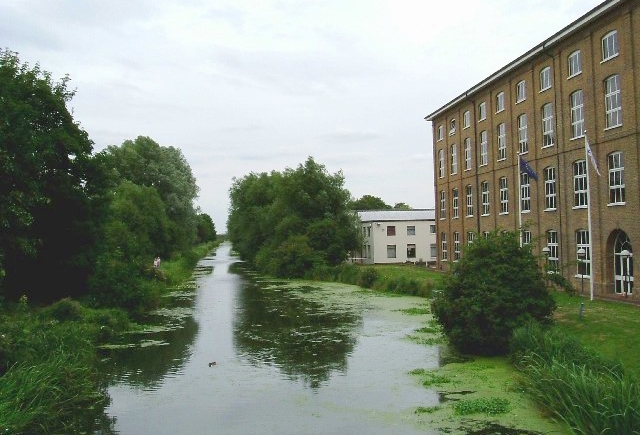 Through active engagement with the client Persimmon Homes and the planners at Maldon Council to refine the proposal the final submitted scheme was approved on 19th May 2016.